NCT China is finally making their long-awaited debut soon! Since the announcement of the NCT China unit, fans have been waiting for more news and details about their debut. Finally, SM Entertainment has released updates regarding their debut. They are set to debut in November of 2018 as NCT 116. Full swing promotions in China will start in 2019. NCT 127 recently made their comeback on October 12th with their title track ‘Regular‘ and first full-length album ‘Regular-Irregular‘. Prior to this, NCT Dream came back with title track and second mini album ‘We Go Up‘ on September 3rd. 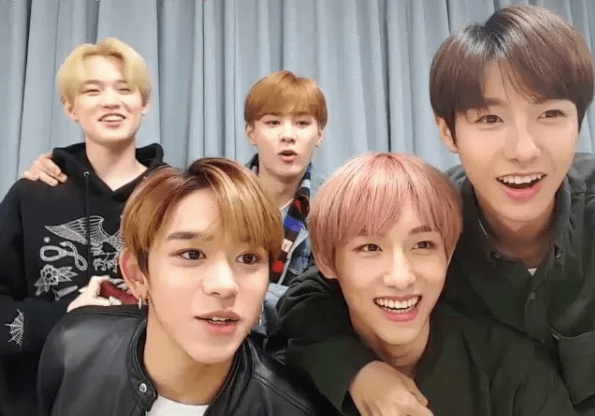 There are currently five members of NCT 2018 that will be in this sub-unit: Kun, Winwin, Lucas, Chenle and Renjun. Kun is likely to be the leader. The current SMROOKIES, Xiao Jun, Hendery, and Yang Yang, are likely to debut with NCT China as they are all of Chinese descent. We cannot wait to see what NCT China have in store for us. Are you excited for their debut next month? Let us know in the comments below! SM Entertainment releases new details about NCT China unit WayV and upcoming debut! Get ready to ‘Feel the V’ in WayV’s second video teaser! BTS have renewed their contract with BigHit Entertainment!